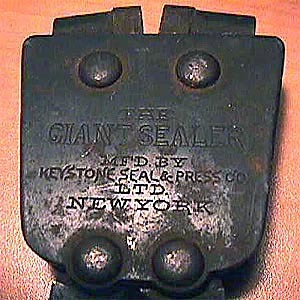 Among the more more interesting and unusual pieces of railroad hardware that can show up in the collectors market is the sealing tool or "sealer". 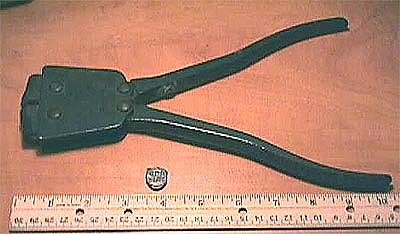 This was a device that was used to produce an embossed, lead seal that secured boxes, pouches, and doors of various kinds. 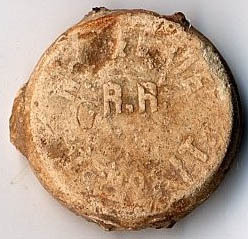 Since the seal had to be broken to open the container or door, it was a means of both preventing tampering and demonstrating that none had occurred. 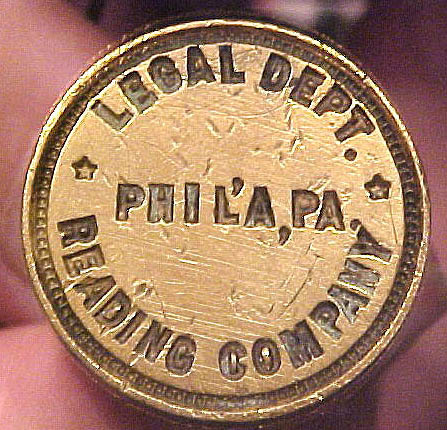 Being made of lead, seals were very durable and can still be found along railroad rights of way. There are even reports that some have been recycled as fishing sinkers! 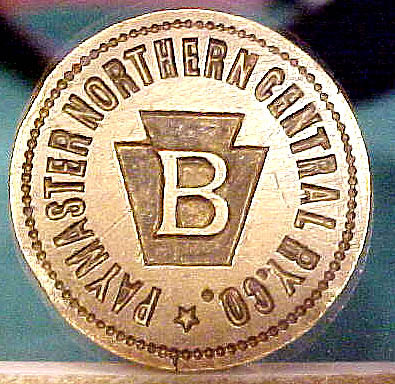 The image at upper right was found by a museum archeology group along the right-of-way of the former New York & Erie Railroad near Deposit, New York. 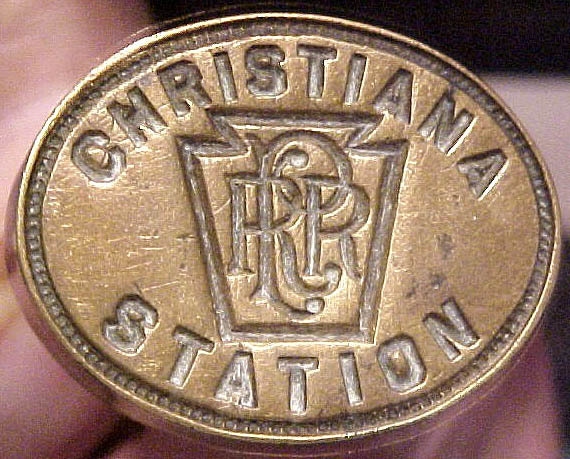 It is embossed with the railroad name and "Deposit". 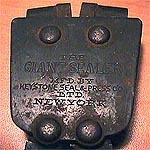 The images below show a sealing tool called a "Giant Sealer" made by the Keystone Seal & Press Co., Ltd, New York. 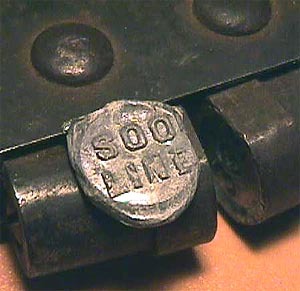 It produces seals embossed for the Soo Line Railroad. The latter images are courtesy of Kevin Ewanio. Click on any image for a larger version. 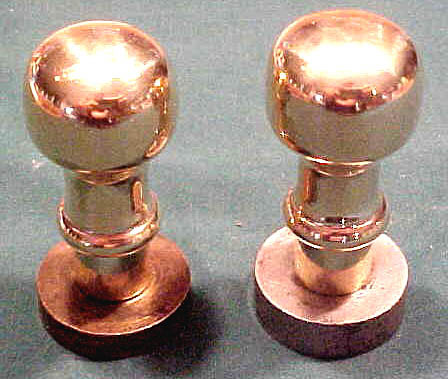 Two hand sealers are shown at right, and sealer faces are shown below, courtesy of Bob Niblick. 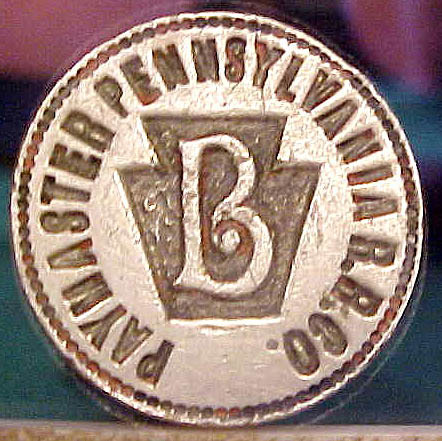 The sealer faces are shown reverse image for readability. 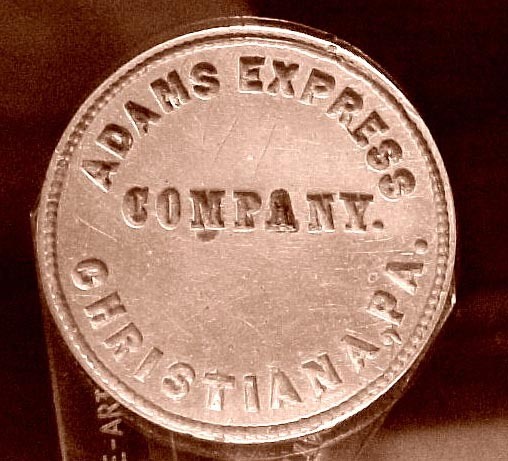 They are from left to right: An Adams Express Company sealer from Christiana, PA, a Northern Central Railway "Paymaster" sealer, a PRR (Pennsylvania Railroad) sealer from the Christiana, PA station, a PRR (Pennsylvania Railroad) "Paymaster" sealer, and a Reading Company "Legal Department" sealer. Click on any image for a larger version. Thanks to Kevin Ewanio, Bob Niblick, members of the nshore railroadiana list, and Janna Rudler.